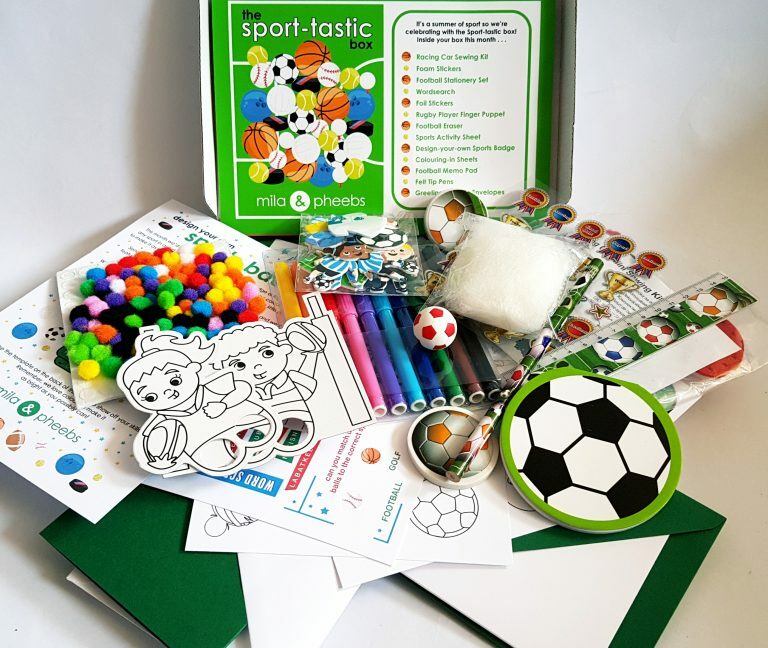 As the world has gone sport crazy, this month’s theme is totally appropriate: The Sport-tastic Box! Lots of great sports trivia and jokes in this month’s newsletter. 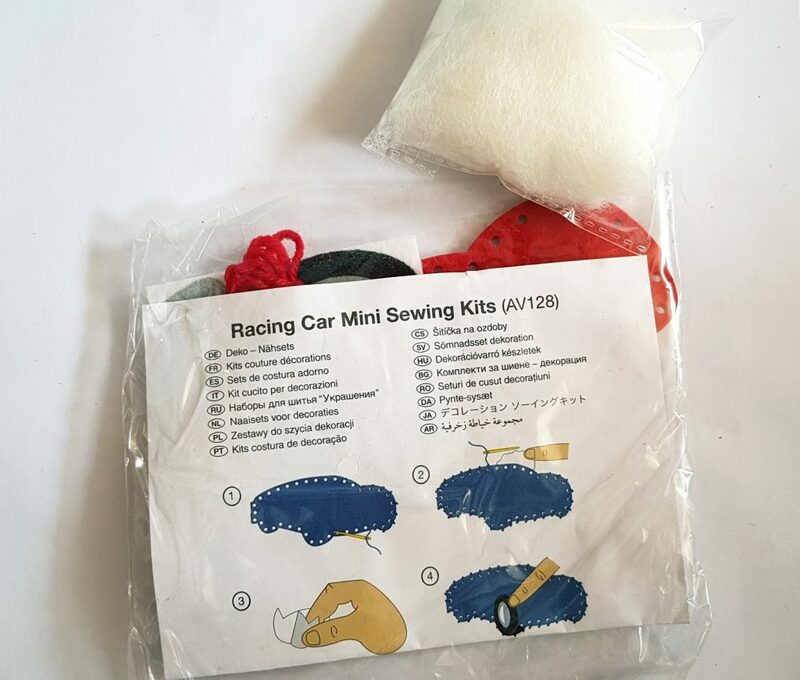 Mila and Pheebs loves these sewing craft kits, and this one is a cute Racing Car Kit. 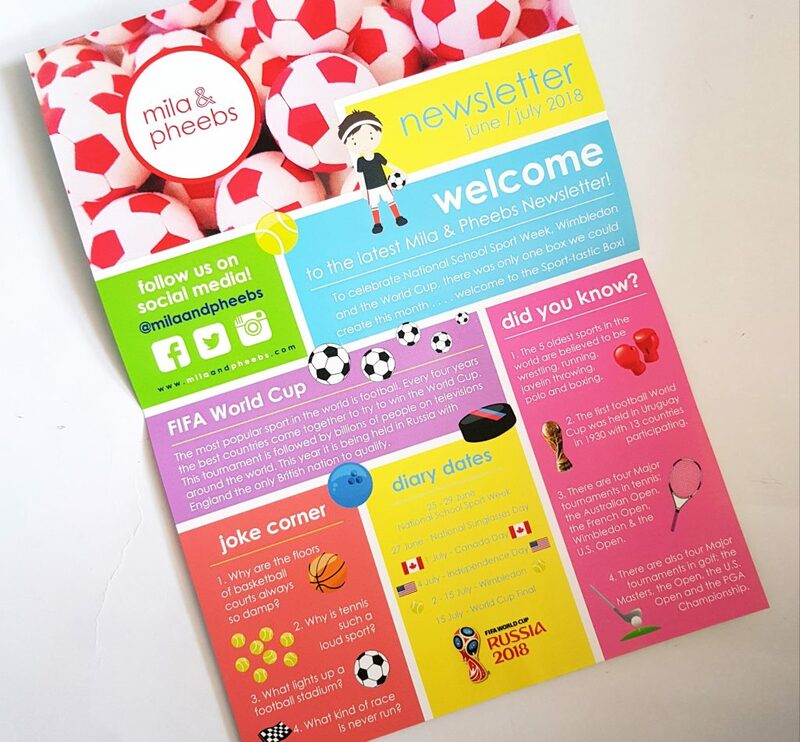 Everyone’s going mad for the World Cup, so this awesome Football Stationery Set is perfect! 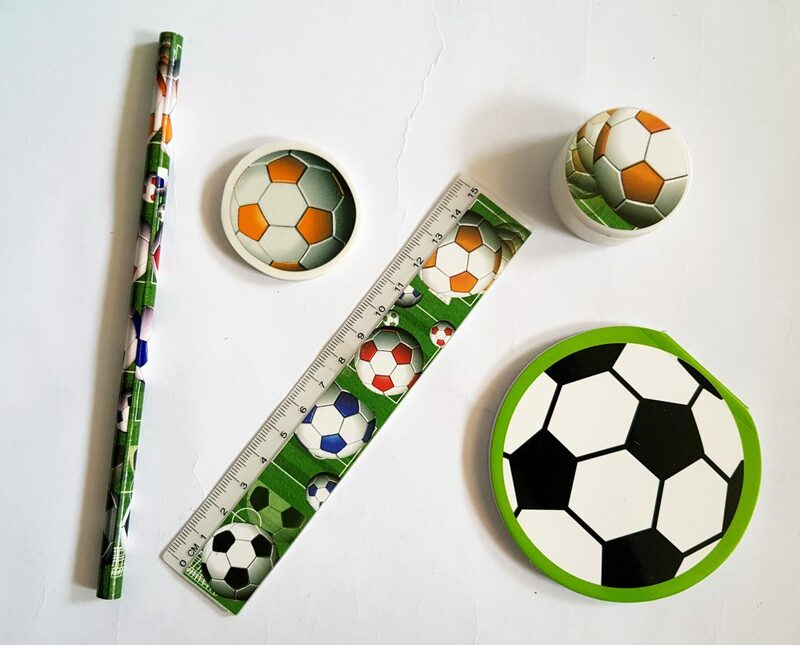 Ruler, pencil, rubber, pencil sharpener, and a little football notebook too. 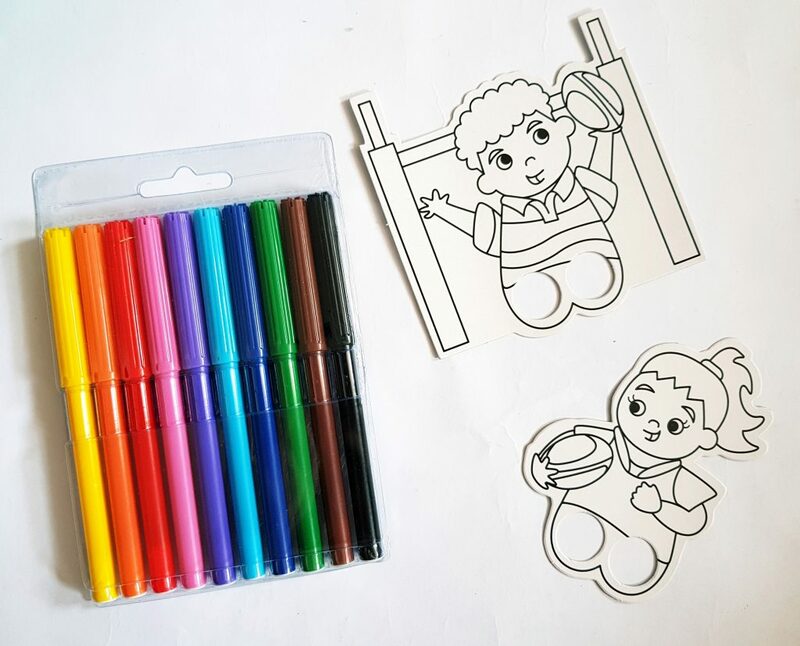 Here are two rugby finger puppets plus some colouring pens to colour them in. Little C plays rugby at school, so she was very happy that one of the rugby players was a girl! 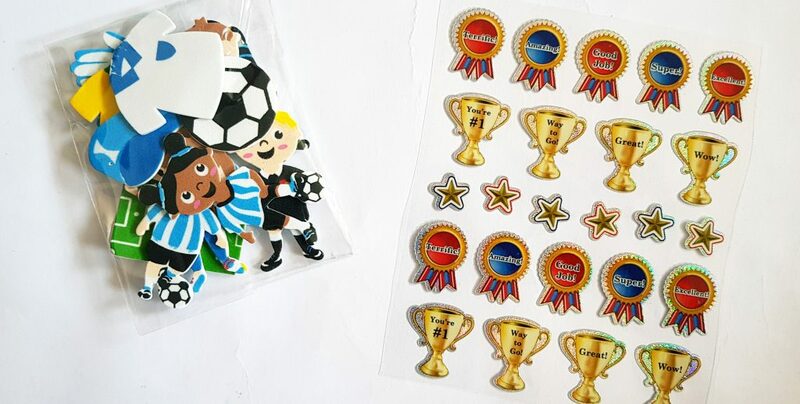 Everyone loves stickers, and here we have some nice foam footballer stickers plus a sheet of shiny achievement stickers. Who do you think will be getting some of these? 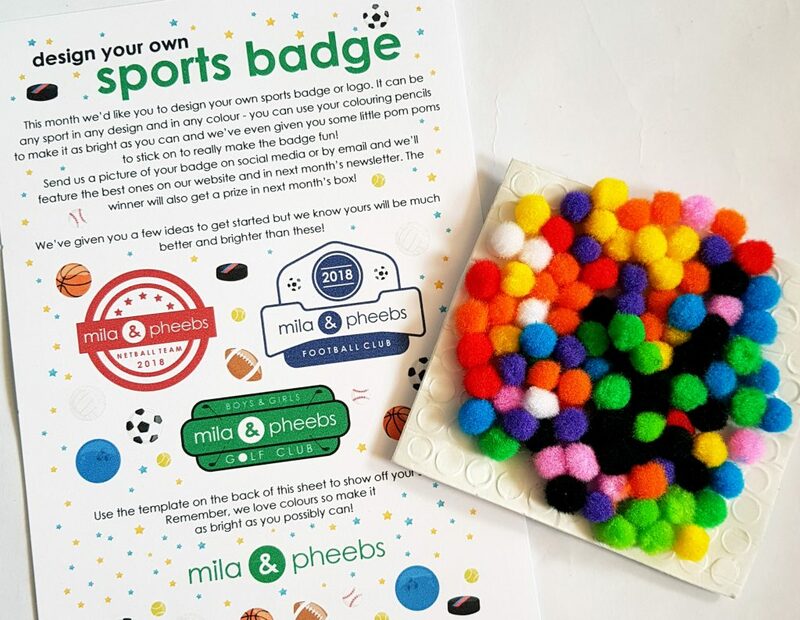 This is a cute and creative craft, a Design Your Own Sports Badge. There are even a whole lot of little pompoms included to really make your design stand out. And, share your design and you might win a prize! 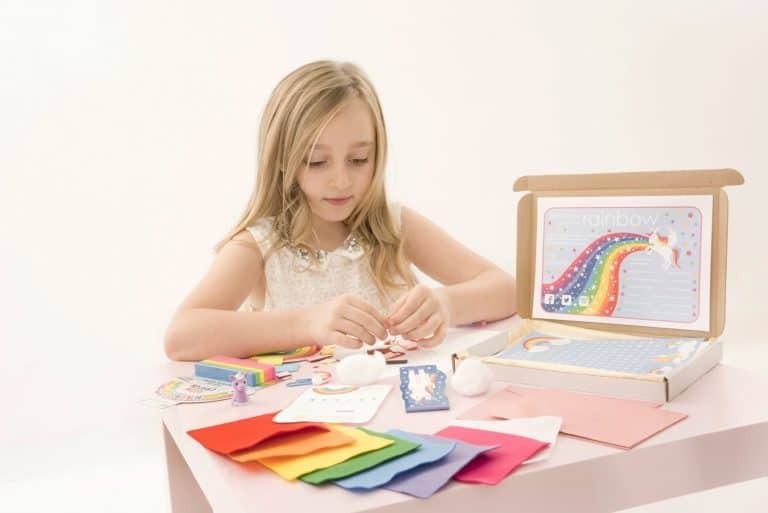 There are always blank greetings cards in a Mila and Pheebs box. 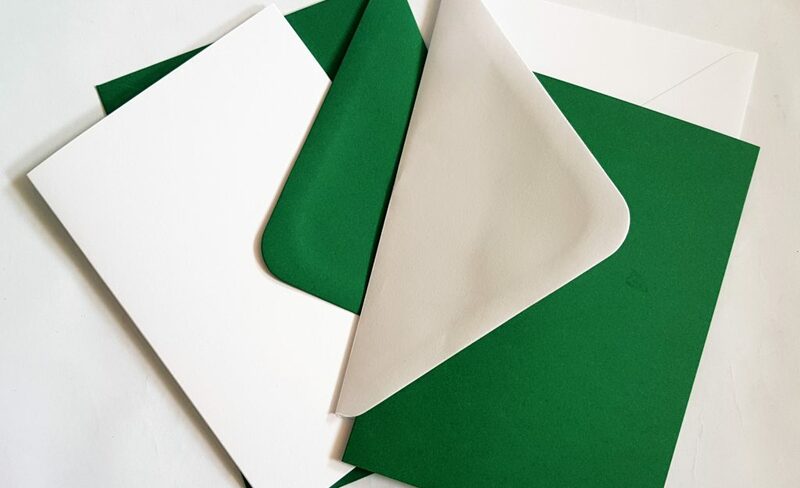 For some reason the green and white makes me think of tennis! Anyway, it’s great for kids to design their own cards. 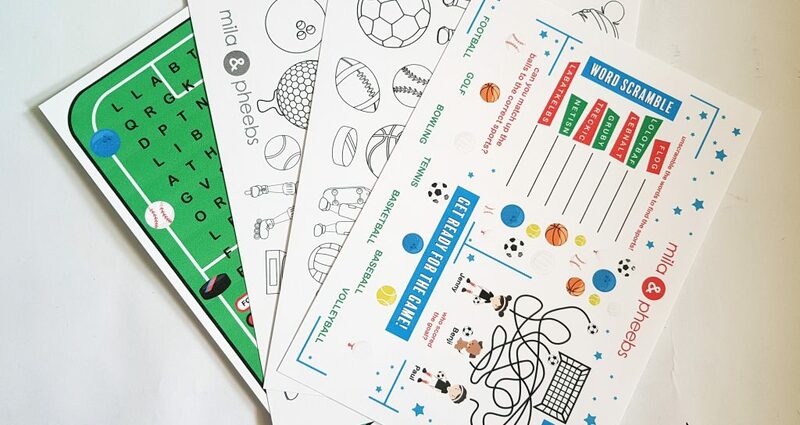 Here are sporty colouring sheets, a wordsearch, and puzzle sheet. 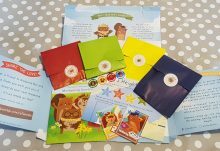 The puzzles are Little C’s favourite thing to do, and she also loves wordsearches, so these are always snapped up quickly! 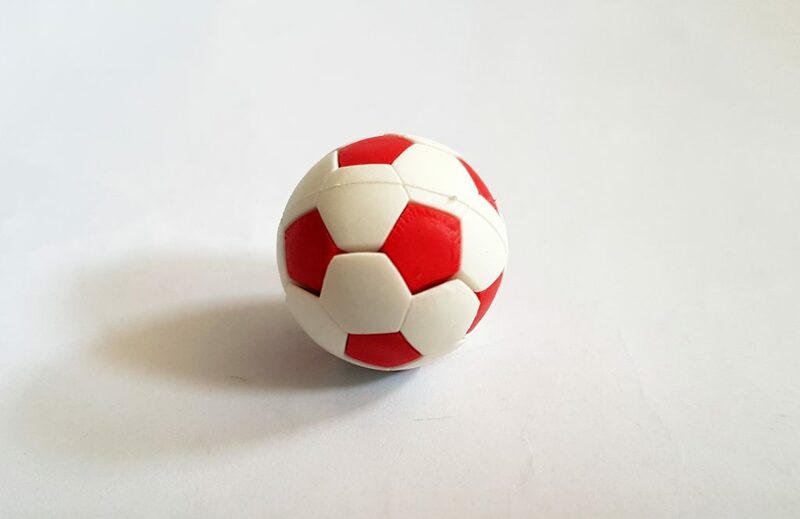 Finally, this month’s mini eraser is this tiny football. Well, with the World Cup on right now, it really had to be a football! What a brilliant and seasonal selection of goodies. 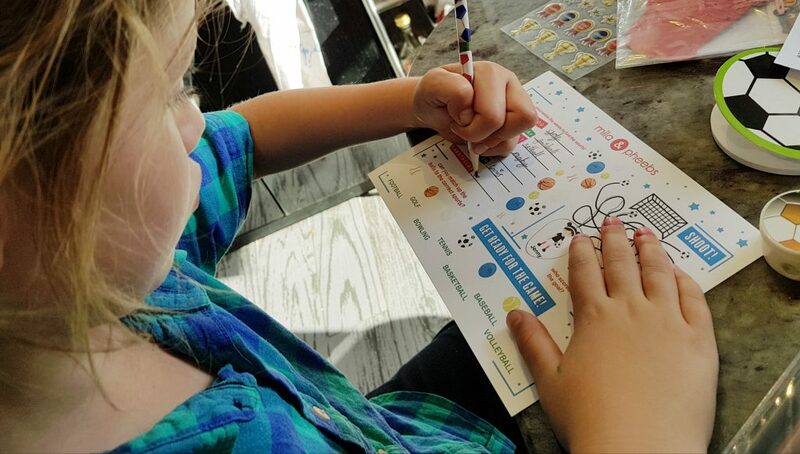 Little C was especially pleased with the football stationery set, as she can’t get enough of pencils and notebooks. 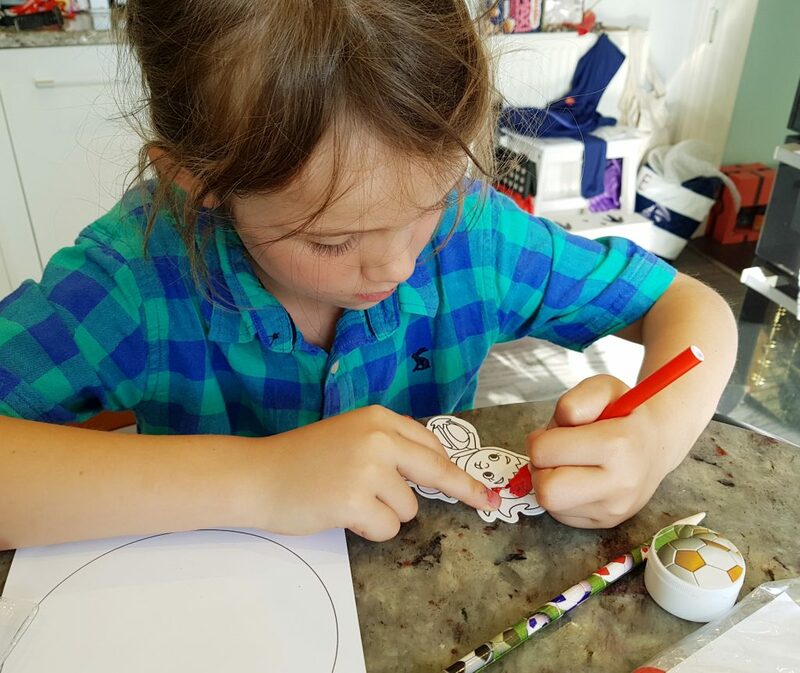 The crafts are fun, and I love that there’s a little prize incentive for one of them. 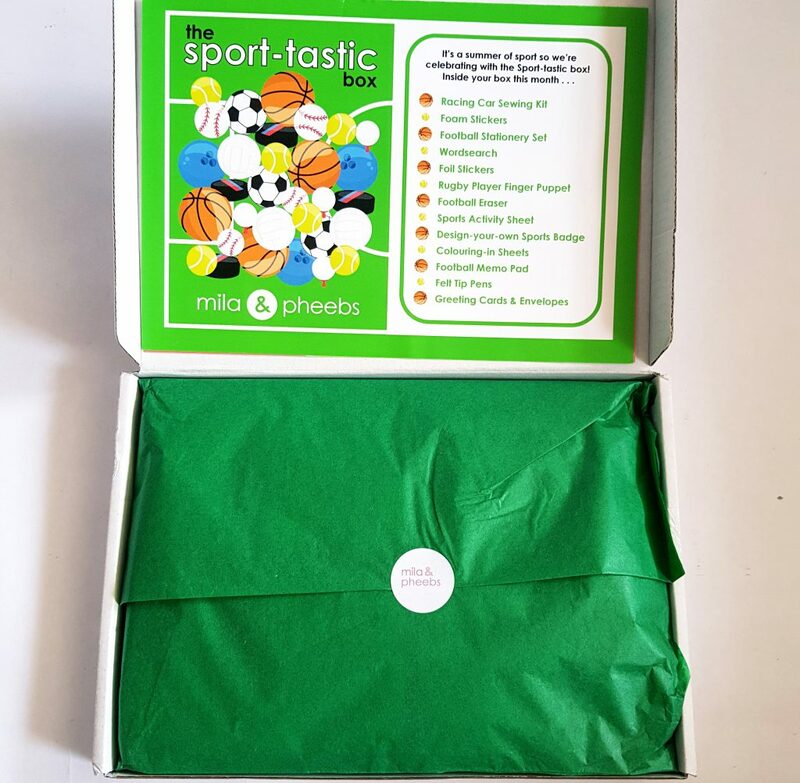 One of the nicest things about Mila and Pheebs is that their boxes are completely neutral and designed to be appealing to any child. Apart from the fact that there’s a generous amount of stationery here, my favourite thing about this box is that it shows both boys and girls playing sports. I The finger puppets show both a boy and a girl, and the colouring sheets have boys and girls on them as well. It’s so important to show all children playing sports, and this is beautifully balanced. 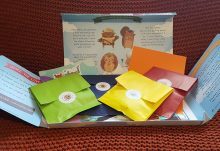 These boxes are more or less mess-free, plenty of things to do and keep, and are perfect as a reward, to have stashed for a rainy day, or simply as a lovely treat each month! 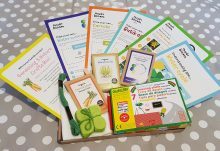 With the summer holidays on their way this would be a great thing to take away with you to give the kids a bit of novelty and cretivity while they’re away from home.